it's a funny thing about crazy people , they all think they can fly ! Please note that we can only accept your reservation made on our website. For groups min 10 paid jumps we can open any day, any time! Before you arrive at 50 mtrs the crew treats you with a special ride to the top with two different elevators. 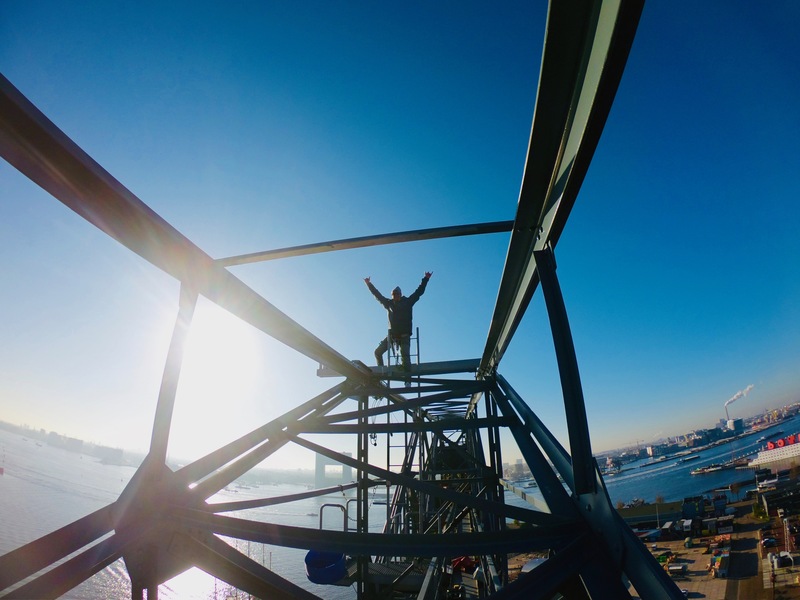 Once you arrive at the highest level of the crane you enter the instruction platform, here you will be given proper instructions before you make your’ leap of faith’ ! 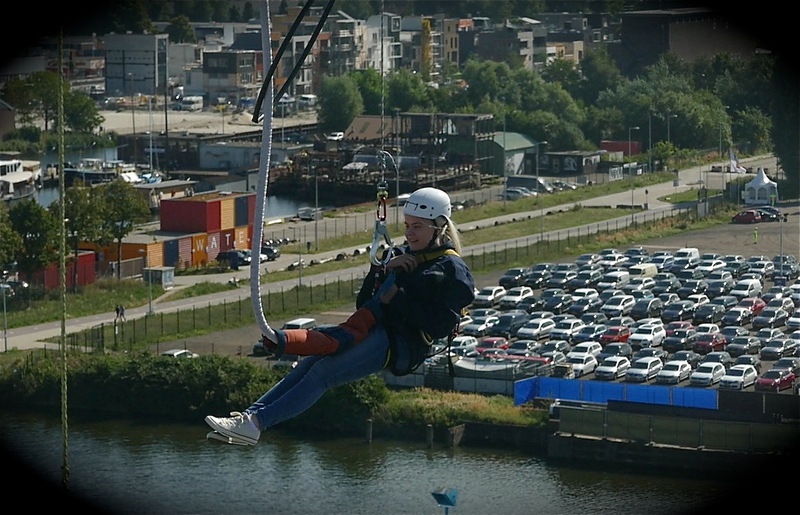 Bungee Amsterdam offers a total package for corporate events, product launches and teambuilding. Because the crane is housing luxurious hotelsuites and a studio for max 60 persons 20 mtrs above the ground floor ,the location is ideally suitable for your teambuilding event, product launch etc. From our studio you have the best view to your colleague taking her/his jump. Drinks, dinner, music and many more possibilities can be offered . 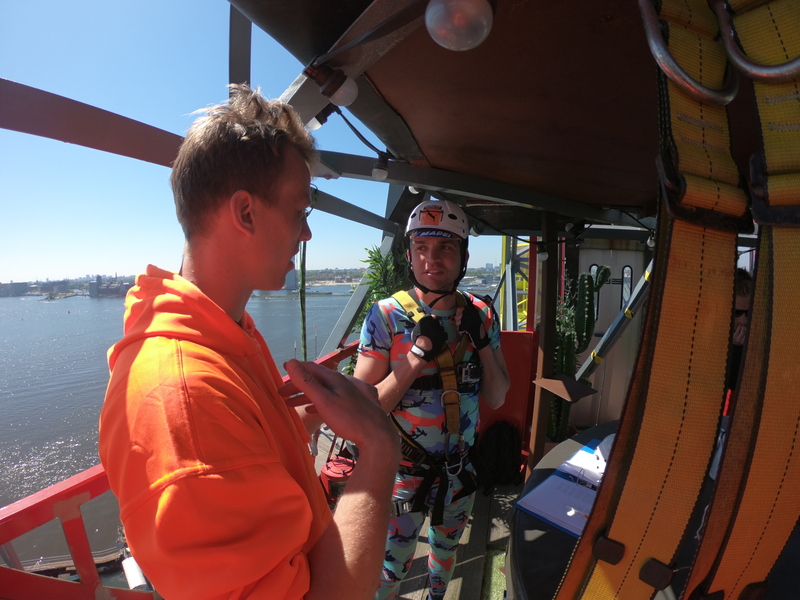 Contact info@bungeeamsterdam.com for more information. 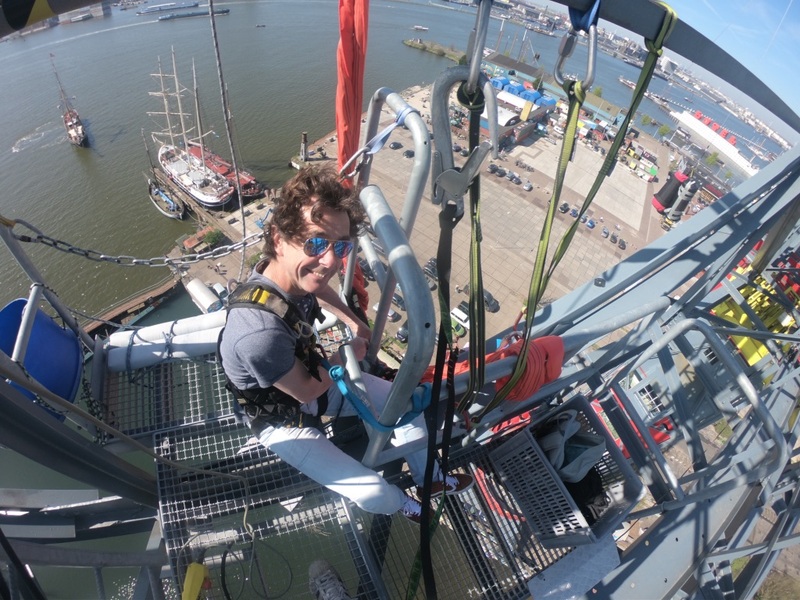 Bungee Amsterdam has been approved by the TUV and has the highest safety standards in The Netherlands. Safety always comes first. For making a jump you need to be at least 18 years old, healthy and not weighing over 110 kg . Upon entering the instruction platform, you will be requested to sign a waiver. Please note that drugs and alcohol are prohibited. 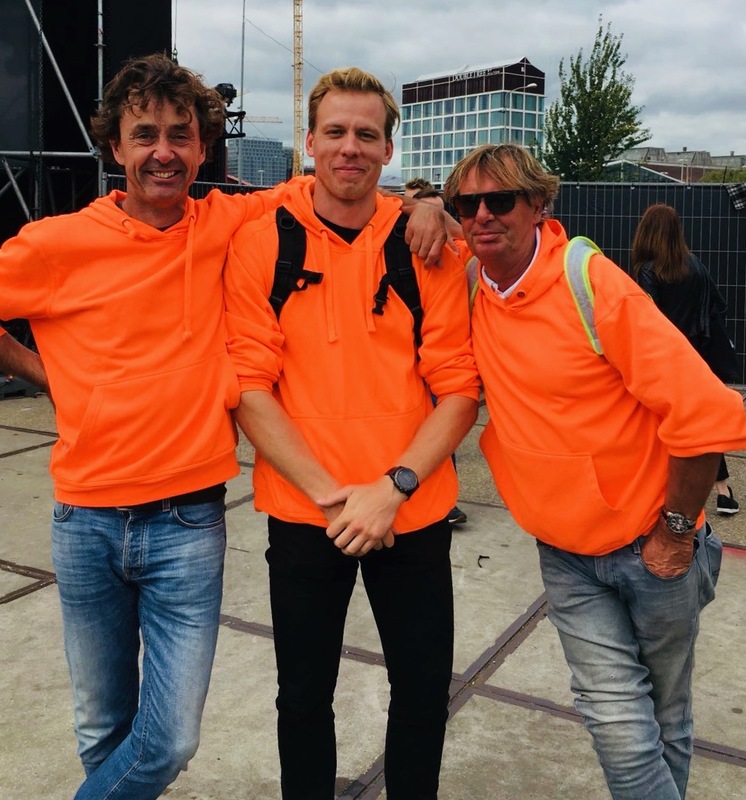 The location of the bungee crane makes Bungee Amsterdam one of the highlights in the tourism industry in the wide region of our capital city. 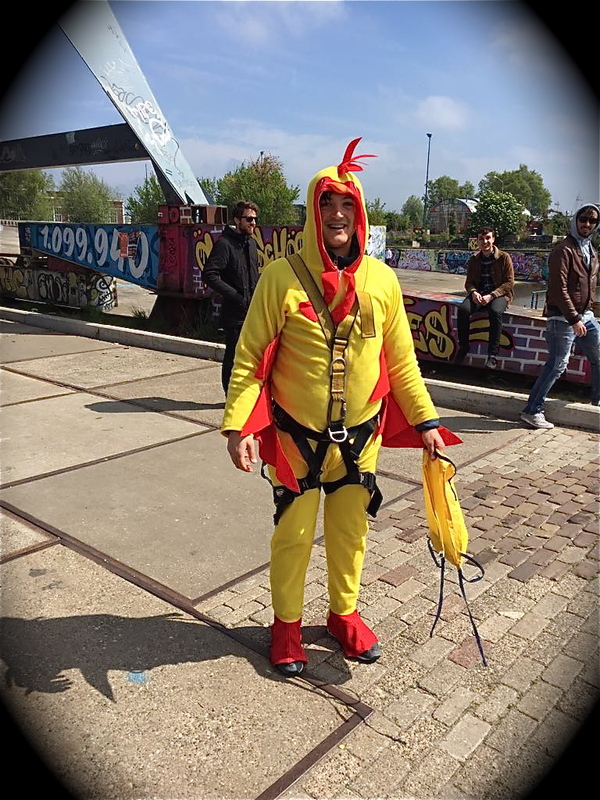 Facing the famous IJ waterfront, overlooking Central Station and the majority of the centre of Amsterdam, you are standing on the bungee platform 50 meters above the ground before you jump into the abyss. 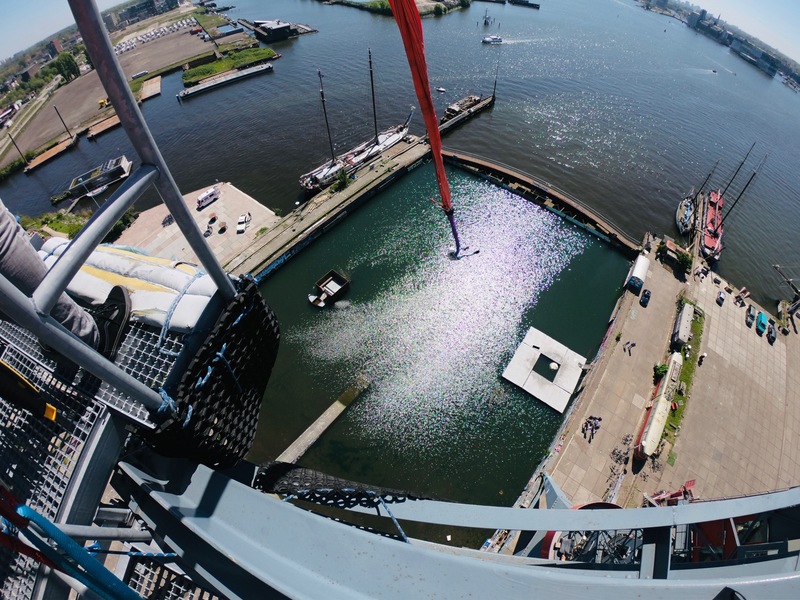 The bungee site is located on the NDSM terrain in Amsterdam Noord. (NDSM plein 78, 1033 WB Amsterdam) From the Central Station the easiest way to get there is to take the ferry across the IJ river. This will take about 20 minutes , and you can already see the crane on your way. 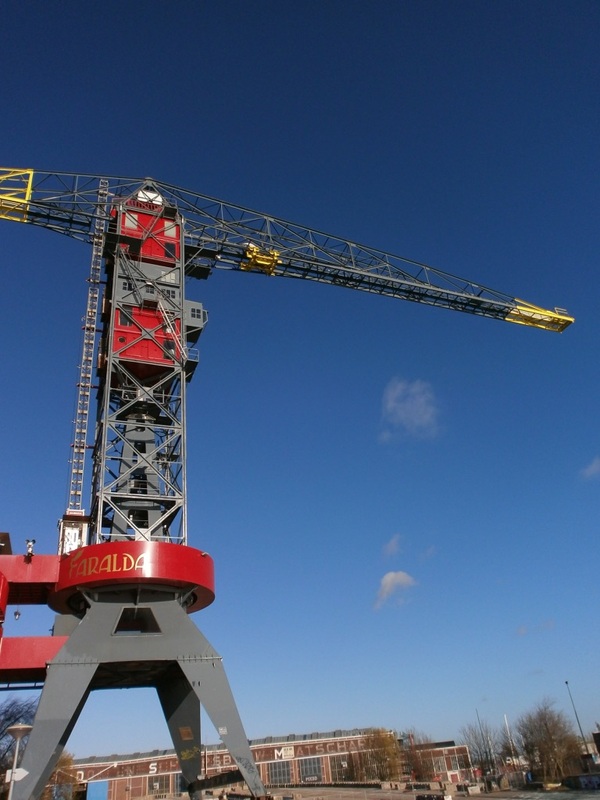 When arriving it is another 5 minutes walk to the crane.